Hello Everyone! Welcome to Taiwan Bar. Today we are going to talk about mai-Tai (selling out Taiwan). …which (mai-Tai), everyone seems to think is a new thing, but Shinpei Gotō once said that Taiwanese are nothing but money-grubbing, death-fearing, and egotists… While being coy, we think he might hit the point. Whereas the witty satire seems to deal with selling out Taiwan as a complex historical, inter-cultural, and political issue, the animated images play with the naming similarity between Shinpei Gotō and Shinichi Kudo (i.e. the protagonist of Japanese anime Detective Conan), showing the character’s signature gesture accompanied by its upbeat anime theme song. The animation goes on to reveal a seemly-trivial historical event – usually not included in Taiwanese history textbooks – about the Japanese Diet debating whether or not to sell out Taiwan to France in 1897. Fig. 1. A shot from Taiwan Bar. The first season of Taiwan Bar is composed of nine episodes and six side-stories, wherein Taiwan’s histories are animated by non-Chinese nationalist and from non-Sinocentric perspectives. The second season of Taiwan Bar, instead, explores the world histories in relation to Taiwan in eight episodes. These animations are produced by Taiwan Bar Studio, which was founded in 2014 by four millennials: DJ Hauer (producer), Buchi Lin (writer and voice actor), Yu-chen Xiao (writer of historical texts), and JiaJiaCh (animator). The animation clips and content can be accessed freely on YouTube, and the funding sources include crowdfunding, subscription donation, character merchandise, and affiliate earning. Most of their episodes have accumulated millions of views and an impressively high number of subscribers. Because of the popularity of the first and second seasons of Taiwan Bar, the studio continues to publish animations dealing with philosophy, law, education, local cultures, and economics on YouTube. Currently Taiwan Bar Studio has published 17 playlists with more than 170 YouTube videos. these regimes have used education in their attempts to shape the identity consciousness of the local population. Acute contradictions persist between the way in which national identity is portrayed at an official level, and the way in which it is perceived by many ordinary Taiwanese, reflecting an enduring ambivalence in Taiwan’s identity as seen both domestically and abroad (p.585).” They further argue that “students are generally not being encouraged to consider multiple perspectives on the most sensitive and interesting issues in their history (Liu & Hung, Li-Ching, 2002: 585). Yu-chen Xiao, one of the founders of Taiwan Bar Studio who was once a history teacher, spoke about his concerns regarding the history curriculum in Taiwan, and said that his idea of history education is to provide multiple perspectives on the various historical occurrences. Season one of Taiwan Bar centers on various historical incidents, events, and themes. More precisely, “Episode 0: Taiwan for sale?” (2014) is about the Japanese Diet debating whether or not to sell out Taiwan to France in 1897. “Episode 0.5: Opium” (2014) puts Japanese opium policy in Taiwan in a nutshell. “Episode 1: Taiwan’s modernization!” (2014) reveals Taiwan’s modernization under Japanese rule, which is purposefully kept absent in the Taiwanese history curriculum. “Episode 1.5: Aborigines of Taiwan during Japanese colonial rule” (2014) looks into Taiwanese aborigines’ perspectives during Japanese rule. “Episode 2: Where is Taiwan’s mainland?” (2014) explores the concept of “mainland,” which is often referred to China, for Taiwanese. “Episode 2.5: Taiwanese female and foot binding under Japanese rule” (2015) recaps the change of women’s social status before and during Japanese rule. “Episode 3: Social movements in Taiwan during 1920s” (2015) talks about social movements in the 1920s, including movements of democratization, Taiwanese self-governing, and communism. “Episode 3.5: Erhlin Peasants” (2015) pinpoints Erhlin farmers’ movement in Taiwan. “Episode 4: The Kominka Era: Subjects of the Emperor” (2015) summarizes Japan’s Kominka policy (imperialization) in Taiwan during World War II. “Episode 4.5: Taiwanese soldiers/Japan’s minions” (2015) uses the journey of Suniuo, a Taiwanese aborigine who became a soldier in Japanese army, got lost as Robinson Crusoe in a forest in Indonesia during World War II, and returned to Taiwan 30 years later, to explore the ambivalent identity crisis for Taiwanese aborigines. “Episode 5: The 228 Incident” (2015) explores alternative perspectives of history as it had been a taboo to openly criticize the KMT’s massacre on February 28, 1947 before the lift of marital law. “Episode 5.5: Something related to the 228 Incident” (2015) goes over the regime’s random and systematic killings after the 228 Incident. “Episode 6: Democratic Taiwan?” (2015) explores democratic movements under the KMT regime. “Episode 7: The legendary economic miracle of Taiwan” (2015) contextualizes Taiwan’s economic growth during the 1950s to 1970s. “Episode 8: Why do Taiwanese speak Mandarin?” (2015) presents Taiwanese linguistic and cultural struggles while encountering Mandarin and Sinocentrism. The scripts of Taiwan Bar have a tongue-in-cheek nature with lots of millennial slang and Internet language. While the language spoken by the voice-over is Mandarin, it is mixed with Japanese, Taiwanese, and English interjections and terms. The animation style is rather simple: 2D computer and cut-out animation are employed. The visuals draw signifiers from global popular culture references, including Japanese anime and manga, East Asian TV drama, East Asian pop music, and videogames. The layout design employs bright color palettes, emoji, and expressive backgrounds in order to amplify the whimsical scripts. There are five animal characters: Rose (Taiwanese salmon), Brandy (Mikado pheasant), Beer (Formosan black bear), Shaoxing (leopard cat), Mijo (Formosan rock macaque). Fig. 2. The characters of Taiwan Bar. The design of characters is influenced by the “kawaii aesthetics” and Japan’s cuteness culture that consist of the qualities of softness, adorable imperfection, innocence, and passivity, rooted in the consumer-capitalist culture (Yano, 2009; 2013). Whereas these characters do have backstories, their existence does not affect the storylines. 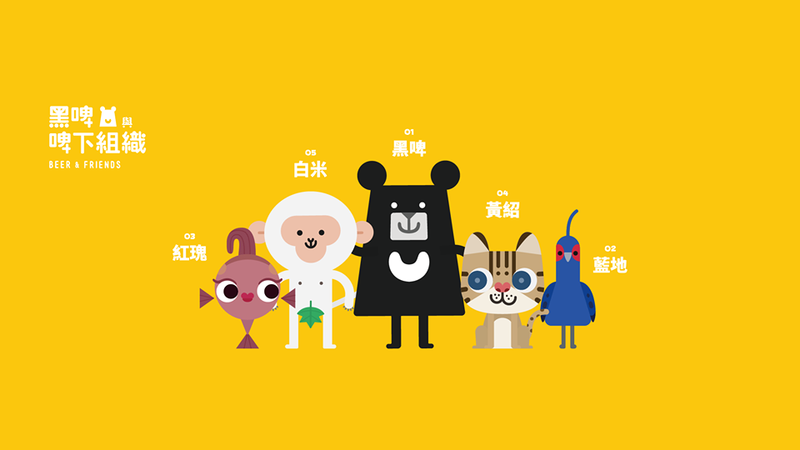 They function more as cute logos of Taiwan Bar Studio, considering that the merchandise of these characters are one of the major sources of income for the studio. Each episode of Taiwan Bar looks at a current event or social conflict with a humorous tone, following a critical question regarding self-exploration for Taiwanese people. The animations, accompanied by self-mocking humor and non-threatening satire, provide multiple narratives rather than a singular version of history. Paul Wells (1998) argues that contrary to live-action films and videos that have to be recorded in the physical world, animation actively renders simplified graphics as its own vocabulary and it can distance viewers from sociopolitical consciousness to enable an immediate engagement. With viewers’ full acknowledgement of its visual artificiality, Taiwan Bar engages them in a vivid and entertaining inquiry into the constructed and fabricated nature of history. Additionally, the employment of the kawaii aesthetics provides a buffer that prevents viewers from making immediate judgements of historical occurrences based on their own political ideologies. Finally, using Youtube as a publishing platform permits immediacy, interactivity, and a certain level of openness for creative processes. History is a constructed reality, embedded in a particular perspective and problem. Scholars have investigated the discursive construction of identity politics and pinpointed the problems of Taiwanese history curriculum and textbooks that fashioned an ambivalence between Taiwan’s local identity and Chinese nationalism. Contrary to the curriculum that has the limited capacity to present the complexity of Taiwan’s histories and identity politics, Taiwan Bar draws on the media specificity of YouTube animation, allows viewers to engage in an animated discursive practice, explores multiple perspectives of Taiwan’s histories, and further inquires about a Taiwanese identity. Chang, L.-c. (2011), “Telling Histories of an Island Nation: The Academics and Politics of History Textbooks in Contemporary Taiwan”. In G. Mueller, Designing History in East Asian Textbooks: Identity Politics and Transnational Aspirations. London and New York: Routledge. Chou, C., & Ching, G. (2016), Taiwan Education at the Crossroad: When Globalization Meets Localization. Macmillan. Chuang, Y. C. (2011), “Kawaii in Taiwan Politics”, IJAPS, 7(3). Hughes, C., & Stone, R. (1999), “Nation-building and Curriculum Reform in Hong Kong and Taiwan”, The China Quarterly, pp. 977-991. Liu, M., & Hung, Li-Ching. (2002), “Identity Issues in Taiwan’s History Curriculum”, International Journal of Educational Research, 37, pp. 567-586. Wells, P. (1998). Understanding Animation. London: Routledge. Yano, C. R. (2009), “WInk on Pink: Interpreting Japanese Cute as It Grabs the Global Headlines”, The Journal of Asian Studies, 68(3), pp. 681-688. Yano, C. R. (2013). Pink Globalization. Durham and London: Duke University Press. Lien Fan Shen is an Associate Professor in the Department of Film and Media Arts at the University of Utah. She earned her PhD in Art Education at The Ohio State University and her MFA in Computer Art from the School of Visual Arts in New York City. Her creative work includes manga, animation, and digital media arts. She published five manga in Taiwan and her animation and digital arts are screened and exhibited in Singapore, Japan, Korea, Taiwan, China, Netherlands, and the United States. Her recent animated documentary, Seeing through the Eyes of Crocodiles, explores Taiwanese butch lesbians’ sexuality, body imaging, pleasure, and struggles in society. It has won the Best Editing Award in Shanghai Pride Film Festival and the Audience Award for International Short in Boston LGBT Film Festival. Shen’s scholarly writing focuses on the intersection among pleasure, power, and politics of viewing Japanese animation, as well as the subject’s persistent practice in the visual fields. A Japanese politician and cabinet minister, who served as the head of civilian affairs of Taiwan under Japanese rule (1895-1945). 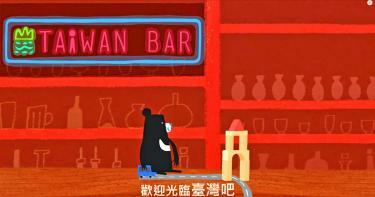 All season one episodes of Taiwan Bar are produced by DJ Hauer, written by Buchi Lin and Yu-chen Xiao, animated by JiaJiaCh. Yes, I am writing a more in-depth analysis about this topic! Really nice animation series. Really informative about the rich history of the country. Thanks for the suggestion. Really enjoyed it. Hi I’m the producer of that show.